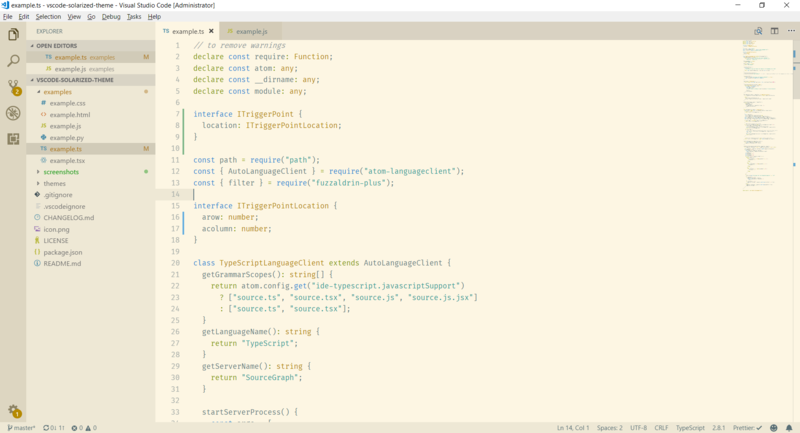 Visual Studio Code>Themes>SolarizedNew to Visual Studio Code? Get it now. 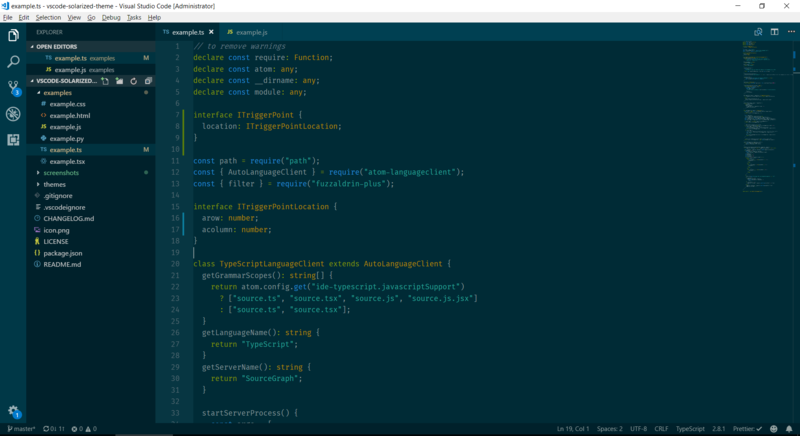 Based on the built-in solarized theme, I've improved the dark and light solarized themes to look more like solarized (as seen in website and in vim). After install, the themes are called 'Solarized Light+' and 'Solarized Dark+'.